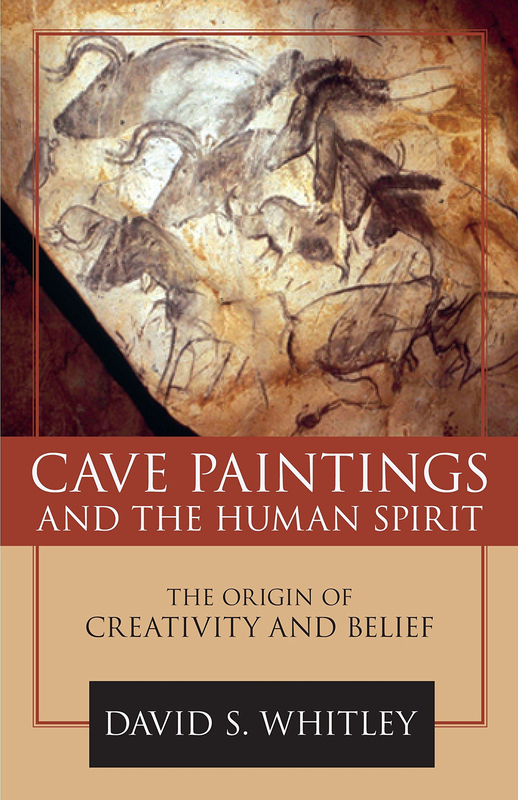 Dr David S. Whitley, American archaeologist and one of the world's leading experts on cave paintings, covers a lot of ground - as you would expect with a title such as this - in his publication Cave Paintings and the Human Spirit: The Origin of Creativity and Belief. 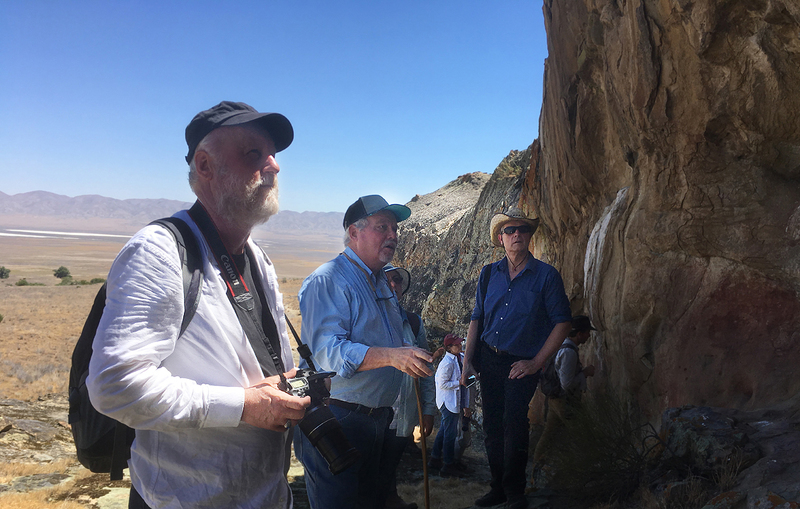 The author David Whitley (centre) during a recent Getty Conservation Institute field trip in eastern California with Professor Paul Taçon (left) of Griffith University and Dr Richard Kuba of the Frobenius Institut. Having visited Chauvet himself in 1999, the author describes the situation clearly. This is one of many compelling aspects. 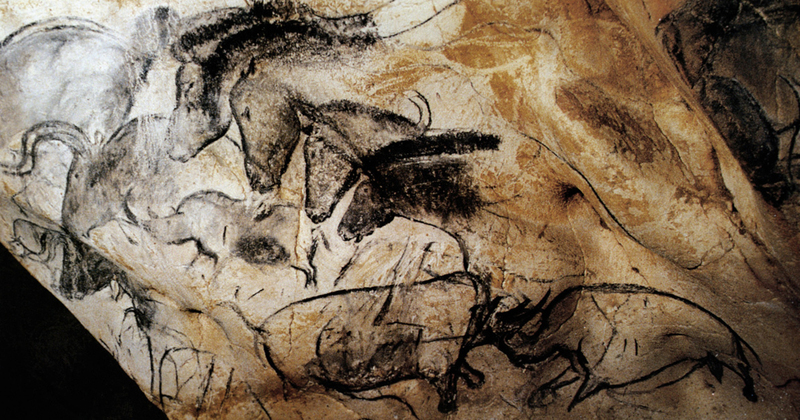 The age of the art of Chauvet runs from thirty five to thirty six thousand years, with two different episodes of use. The fighting rhinoceroses & horses on the Panel of the Horses. Chauvet was discovered in December 1994 by three local cavers Christian Hillaire, Eliette Brunel-Deschamps and Jean-Marie Chauvet after whom the cave was named. No one had been inside the cave for millenia, apart from the discoverers, Jean Clottes and a few others, since it had been sealed off with the collapse of the original entranceway. Two black lions in the End Chamber. In fact, there were three phases of collapse: roughly 29,400, 23,500 and 21,500 years BP. The first collapse marked the end of the second period of human occupation (the Gravettian), and the end of animal occupation followed the second collapse of the cliff. The final collapse sealed the prehistoric entrance. This is why the archaeological context of the cave was 'pristine'. Published by Prometheus Books, 2009.